Short Description This is a paid app analytics tool that comes with some unique features such as session recording and playback, touch heatmaps, crash recordings and in-app analytics. The tool also provides actionable insights that helps maximize customer engagement. The SDK is easy to setup and integrate. 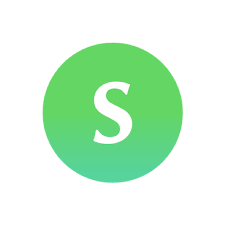 Short Description AskingPoint is a service for Mobile Apps that helps Apps improve Ratings and Reviews, Customer Engagement and to Get Feedback and support their users. We provide a unique technology that allows Apps to remotely control (in real-time) every aspect of Mobile Apps using Analytic and Custom metrics. We currently help thousands of Apps on over 250 Million unique devices. Short Description Segment is a fast-growing startup building a platform for collecting customer data. We provide a single API to track customer data across multiple devices and channels, and send it to third-party tools, internal systems, or a SQL database with the flip of a switch. Segment eliminates the need to write code to integrate new tools, which saves time and removes dependencies across teammates. By consolidating tracking to one API, Segment sends consistent, complete data to every tool and database where companies need to use it. Segment is small, so everyone has a huge impact. With just a handful of people, we’re already processing billions of API calls every month. We love open sourcing our code and writing down everything we’ve learned. If you want to make an impact, and are excited about how data can change organizations, we want you. Short Description Adjust is a new and improved mobile app analytics platform that was formerly known as Adeven. The metrics found in this tool helps you dig deeper and helps you track how customers use applications after download. It has a real-time analysis system that gives clearer insight on how successful a particular marketing campaign is and which sources have provided the most valuable traffic. The app also provides cohort analysis and helps you understand customer engagement with your app. The user interface is clean and graphs are easy-to- understand and responsive. Short Description VWO is the easiest A/B, Split and Multivariate testing tool. Try a free 30-day trial to start optimizing your website for increased conversion rate and sales. Short Description AppsFlyer is a SaaS mobile marketing analytics and attribution platform, based out of Herzliya, Israel, with offices around the world. It is a privately held company founded in 2011 by Oren Kaniel, its current CEO, and Reshef Mann, its CTO. Short Description Upsight, the world’s largest independent enterprise analytics and marketing automation platform for mobile apps, announces the acquisition of Fuse Powered, a mobile supply-side monetization and ad mediation platform. 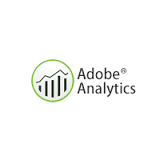 Short Description Adobe provides both web and mobile analytics. Its mobile services SDK provides a single method of data collection for either native apps written in Objective C or hybrid apps based on HTML5. It provides data visualizations and detailed insights about user-engagement, retention and monetization. It also provides reports like cohort analysis and geolocation analysis. See trends for users, launches, average session length, retention length and crashes. It also gives pathing analysis report that helps you to see how your users navigate through your app and find engaging screens and UI elements. Short Description For more than 20 years, Webtrends has helped companies make sense of their customer data to drive digital marketing success. By combining innovative technology with our team of trusted and creative advisors, our solutions are designed to provide actionable insights, increase customer engagement and boost revenue. We partner with companies at all levels of digital maturity and offer solutions in measurement and optimization. We work closely with approximately 2,000 global brands including Microsoft, KLM Royal Dutch Airlines, Kimberly-Clark, HSBC, Marks & Spencer, npower, BMW, Toyota, The Telegraph, Lastminute.com, and many more.